Stress is common in both men and women and while it often goes without consequence, it can lead to hair loss among all ages. Whether your hair loss is permanent or temporary, there are ways in which you can get hair back on your head and with hair transplant cost becoming more and more affordable, hair loss is becoming a solvable issue. However, understanding just what stress can do is a must. Here, we are going to take a look at why your stress could be causing your hair loss and ways in which you can remedy it. Why Is Stress Causing My Hair Loss? Not only does stress make you feel horrible and panicked, but unfortunately it can also lead to hair loss. If you experience emotional stress, then your hair’s growth may slow down and disrupt the normal growth cycle of your hair. Your hair can then lay dormant and eventually shed after approximately two months. There are some cases where stress-induced hair loss can be temporary and will grow back, this is commonly known as telogen effluvium. Stress can lead to mental health illnesses, such as depression and anxiety, and in some cases, this can even encourage hair loss for other reasons. Anxiety can cause or worsen a condition called trichotillomania, which results in someone pulling out their hair habitually, and often without realising it. Although stress is one of the main causes of hair loss, other factors including hormonal changes, medical conditions, radiation therapy, and genetic history. Unfortunately, the majority of these causes are unpreventable, especially if you have a hereditary condition. Although it is easier said than done, stress is one of the factors that can be changed with a bit of help. Therefore, if you are feeling stressed on a regular or ongoing basis, we recommend that you find ways in which to calm the stress down, in addition to talking to your GP, or even an industry professional. How Do I Know If I Am Experiencing Hair Loss? The symptoms of hair loss vary and can come on both suddenly or gradually. These symptoms can include circular bald spots, full-body hair loss and gradual thinning on top of the head. If you’re experiencing any of these symptoms or have other reason tothink that you are suffering from hair loss, contact your GP for more information. How Can I Remedy My Hair Loss? When it comes to hair loss caused by stress, reducing the amount of emotional strain you’re putting yourself under could be all the remedy you need in order to fix the issue. With a month or two of stepping away from the stressful situation, you could see hair growth returned to its original rate. However, on the other hand, if your hair loss is permanent, then a hair transplant is a very popular option. At affordable prices and with great success rates, many people would recommend it. 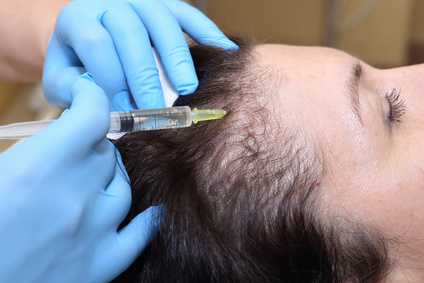 The process includes removing hair follicles from one part of the body to the balding or thinning area on your head. We understand that suffering from hair loss can lower your self-esteem and that it is very hard to cover it up. 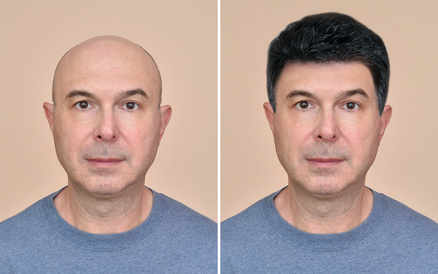 If you’re really unhappy then have a look round for remedies to help your hair grow back if it is temporary hair loss, and if it is permanent then consider a hair transplant. We hope this has helped you, and you know that you are not alone. Be proud of what you look like because you are beautiful with hair or no hair.